(and who says it has to be sweet)? “Cupcakes were all the rage a few years ago, but pie is a constant. 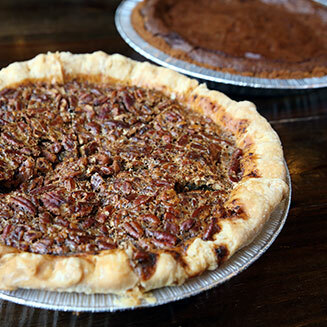 It’s nostalgic, comforting and what good ol’ American baking is all about,” says Carolyn Downs, an owner of Cyrano’s in Webster Groves and Sugarfire Pie in Olivette. Both dessert palaces keep patrons coming back with a cast of favorites that includes Key Lime, Brown Sugga’ and Apple Bacon Cheddar made daily from scratch. Make no mistake: no two pies are created equal, least of all Blue Owl’s legendary Levee High Apple Pie, which stacks 18 thinly sliced Golden Delicious apples into a buttery homemade crust; the result weighs nearly 10 pounds and towers nine inches. An engineering triumph in its own right, the pie pays homage to the sandbagging efforts in 1993 that saved the town of Kimmswick, where the Blue Owl Restaurant and Bakery is located, about 25 miles south of St. Louis. The pie even ships frozen and is one of more than two dozen served daily at the Blue Owl, or available for takeout. 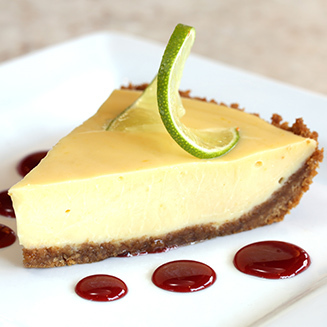 Also innovative in presentation, taste and variety are the offerings at Pie Oh My! in Maplewood, which rotates a mind-boggling array of year-round and seasonal selections with weekly specials. The latter often comes as individual, tart-sized portions in flavors such as Oatmeal Maple Walnut with Schlafly Stout, Strawberry Gooey Butter and Apple Green Chili. Not all pies have to be sweet either, especially in St. Louis where its 314 area code underscores the city’s love of all things “pi.” Take Pi Pizzeria for example, which opened in 2008 on National Pi Day, March 14 (3/14). Today, patrons can choose from five area locations between Pi’s deep-dish and thin-style crusts dusted in cornmeal. Toppings seem almost endless and include everything from caramelized onions to slow-roasted pork shoulder to vegan cheese. Speaking of cheese, Provel—a unique-to-St. Louis recipe combining processed Cheddar, Swiss and provolone—figures prominently into the pies at Imo’s Pizza. Also serving St. Louis-style pizza and other great Italian dishes, The Pasta House Co. has been a St. Louis staple for more than 40 years. Not only is fire-roasted pizza pie a staple at Anthonino’s Taverna in the city’s Hill neighborhood, so is its spinach pie, or spanakopita. The casual Italian-Greek eatery packs spinach and feta in flaky phyllo dough, then bakes it to crispy golden-brown perfection. The Welsh nab a piece of the pie action at Llywelyn’s Pub, where shepherd’s pie rules. Seasoned ground beef spooned over a biscuit-like crust comes topped with mashed potatoes smothered in Cheddar cheese. A generous dollop of creamy mushroom gravy completes the dish, best enjoyed with a pint of Guinness. Diners can’t help but munch a bunch of Frito pie at Pappy’s Smokehouse in midtown St. Louis. This culinary delight marries Pappy’s signature baked beans with shredded Cheddar and red onion, then piles on mouth-watering barbecue brisket or pulled pork. Served with a bag of Fritos, there’s nothing pie-in-the-sky about this deliciousness. 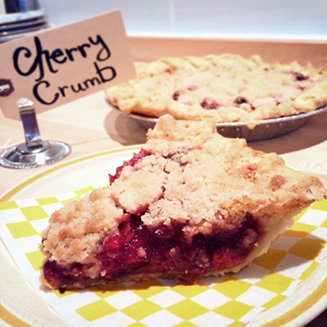 Discover your new favorite pie and other eats in St. Louis.